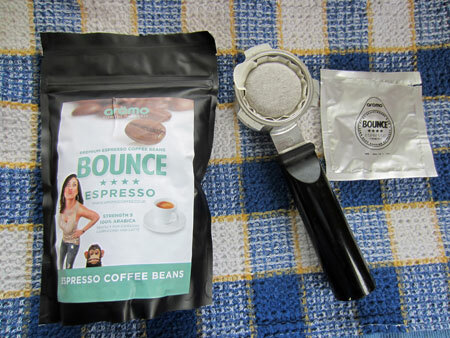 Aromo Bounce ESE espresso pods – A strong and lively espresso that’s fast and easy to make. Many thanks to the folks at Aromo Coffee who sent us samples of their ESE espresso pods, and a bag of their Bounce espresso beans. 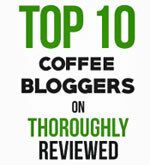 This is a UK company, so this review will be of most interest to our UK readers. First, a little about Aromo and what they are up to. Their tagline is “Espresso Made Easy”, and that’s what they do. ESE stands for Easy Serving Espresso. An ESE pod contains exactly 7 grams of ground coffee – just right for making espresso. And if you have a regular espresso machine at home, it probably includes an ESE pod holder for the portafilter. And here, I guess, is the point Aromo are making. If you are looking for an easy way to make espresso, why not use ESE pods in a regular espresso machine, rather than investing in one of those fancy new espresso machines with their expensive plastic capsules? 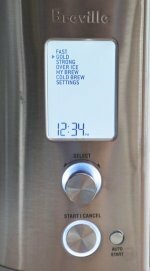 To make the espresso for this review, I simply turned on my old-school espresso machine, placed the pod in the portafilter, and pressed one button. In other words, it was just as easy as using a Nespresso machine, for example. But a whole lot less expensive. OK, now it’s time for the review. We received a selection of Aromo’s ESE pod blends, plus a bag of their popular Bounce espresso blend. For our review, we used the Bounce ESE. The coffee is 100% Arabica and is a blend of Brazilian Daterra Bourbon and Sumatran Mahandeling beans. It is marked on the package is being a 5 for strength. (Their strongest coffee is a 6.) And yes, it is strong. We used the pod and made a single shot of espresso. It has a wonderful crema and a beautiful aroma. At first taste, we found a touch of chocolate and caramel, but not much sweetness. More like dark, rich and bittersweet. As a straight shot of espresso we found it a tad too strong. But that may just be our own preference showing there. However, when I used the shot to make a cappuccino, it was wonderful. Just to be fussy, I like a milder shot of espresso, but really like a deep and strong shot for when I make a cappuccino or a latte. Next time I want to have a straight espresso, I’ll probably try their Buzz blend, and stick with Bounce for when I’m using it as a base for another drink. All in all, we were impressed. And I really do like the fact that the ESE pods make it super-easy to make a shot of espresso at any time, with no cleanup and no plastic to throw away. 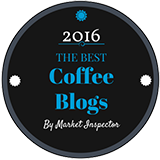 You can find out more about Aromo Coffee ESE espresso pods here.